Application: Admission exam, learning material will be provided. Recognition: In the USA, the EU, the European Economic Area and other countries. Medicine: The school of medicine is the largest school of the Medical University Varna (MU Varna). Here, students are educated to become highly qualified doctors. It is possible to get training for professional specialization, as well as for postgraduate degrees. At the Medical University Varna, many international students start their studies each year. 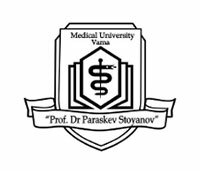 The Medical University Varna is very happy about its growing popularity among international students. The duration of the studies is 6 years. Varna is with 335,000 inhabitants, after Sofia and Plovdiv, the third largest city of Bulgaria. It is the most important Bulgarian port city on the Black Sea. It is not surprising that Varna is often called the “traditional capital of Bulgaria”, since one of the most important centers of transport is to be found here. Varna has an international airport, in addition to one of the greatest ports in Bulgaria. Furthermore, the city is an extremely popular tourist destination for tourists from all around the world, thanks to its warm climate and its long sandy beaches. If you want to be admitted to the university, the Medical University Varna offers you the best possibilities. In order to be able to study at the Medical University Varna, you have to pass an admission exam. The test comprises the subjects English, biology and chemistry. We provide to learning material and mock exams to all our students. You will receive more information about the application process here: Application process. The degree is recognized in the USA, the European Union, the European Economic Area and in other countries.